Usually food is supplied on the day of application. Provide picture identification for client. Provide identifying documents (something you didn’t write yourself) for all household members. Provide proof of Carroll County, AR residence (current utility bill). Clients may be served once each 30 days or one time per calendar month. Loaves & Fishes Food Bank of the Ozarks, Inc. is an equal opportunity provider. I want to apply for your foid bank. I don’t have a utility bill in my name. Can I use my license?Or, something else? Our food bank is the TEFAP distributor for Carroll County thus we have to follow the rules of The Emergency Food Assistance Program (TEFAP), a government program. TEFAP requires picture identification, proof of Carroll Co residency with a document issued recently, proof of identity for all household members and report all household income. Your landlord can provide a rent receipt if the landlord pays the utilities. TEFAP is a household program for all persons sharing a residence. A residence is defined as same mail box and same electric meter. Person who “board” or share a home with someone must all provide personal information for all with that address; and the total household income is used to determine qualification. If you have further questions, please come by the food bank during open hours. Hi, I spoke with a lady on the phone and she said I could bring in my State Farm bill that has my home address on it and that would take care of the utility bill requirements. Is that correct? Yes, received mail addressed to you is considered verification of address. Is that too much for one person to qualify for assistance? I got food for my family last year with you guys and was wondering if I can come back now and still receive food even though it’s been over six months since I’ve needed help? Yes, you can get food. In order to receive food you must show a (1) picture identification (AR ID, drivers license,) (2) utility bill, rent receipt, mail showing you reside in Carroll County, (3) report your household income for the last 30 days, (4) show documentation of all the persons residing at your residence. You may show a current SNAP award letter as it makes you eligible also. All clients are required to “certify” their households and they may receive food each month that they are income eligible. Can I come for food today at 4? 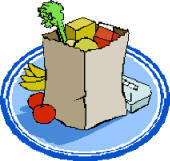 The food bank is open Monday, Wednesday, Friday from 10 AM to 2 PM and on Tuesdays from 4 to 6 PM. We are closed on federal holidays and on school snow days.